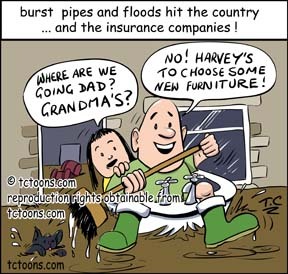 Flood and burst pipes cartoon.Yorkshire Water has brought in extra staff to deal with an “unprecedented” number of calls about frozen and burst pipes. Insurance claims hotlines will probably need a dousing too ! The firm said it was currently receiving up to 8,000 calls a day. On 22 December it took 10,000 calls. If you would like this cartoon for your publication, click the ‘ Buy licence for reproduction ‘ on the right. Kate Middleton Madame Tussauds waxwork cartoon. Kate Middleton may not get her place next to Prince William until late 2011, Madame Tussauds has said. The wax sculpture museum said it will try to book a sitting with Miss Middleton after her wedding in April. It would then take sculptors up to four months to make the model. The museum was also waiting to hear if she would donate an outfit for the waxwork. So meanwhile Kate may have to be viewed in the altogether….the altogether….the altogether ! If you would like this cartoon for your publication please click on the link to the right, buy licence for reproduction. When the British Antarctic Survey advertised for people to work in one of its remote outposts, thousands of people applied. So what has life been like for those who got the jobs? 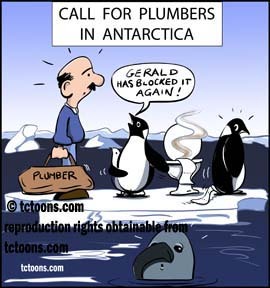 I’m not sure they got what they expected, the penguins could probably vouch for that ! 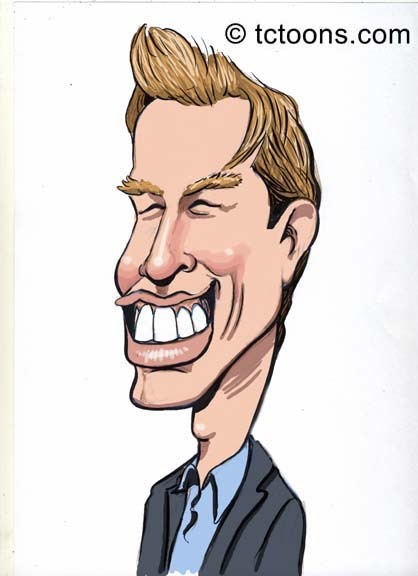 Prince William on his own caricature. Imagine prince William without Kate Middleton….King hell for Prince will i am without a queen !